Low emissivity coated glass is also called Low-E glass. Low-E glass is to coat low emissivity silver and metal oxide layers on glass surface. The coatings on glass will show different colors. Its major properties is to lower the U-value and selectively lower the shading coefficient(SC) which on the whole improves the glass energy efficiency. It features high infrared reflection. 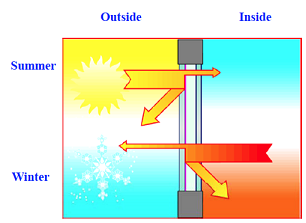 Because of its low surface emissivity(E), it absorbs and re-radiates very little energy. The NANO METAL COATING drastically reduces transmission of Infra red rays contained in sunlight while maintaining a high level of visible light. UV rays in sunlight not only fade color, age plastic and other furnishing, it can also cause sunburn, skin cancer and retinal damage. 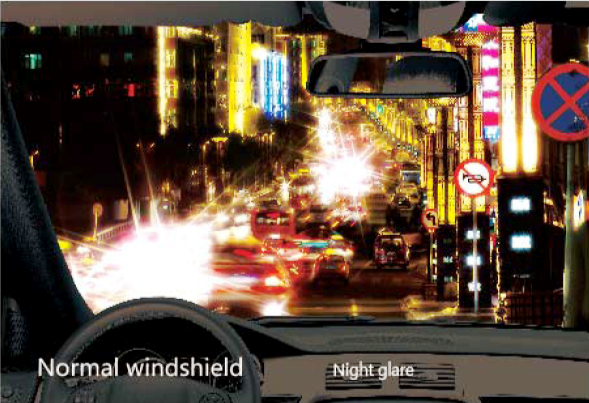 Unlike the old XIR technology, NAGS solar control glass lets radio waves permeate completely, eliminating a major impediment to effective in-car mobile communication and ETC (Electronic Toll Collection) systems. NAGS solar control glass meets the Australian Standard of over 70% VLT (Visual Light Transmittance). 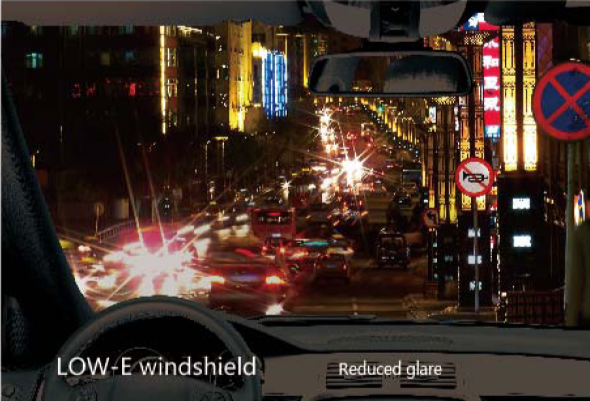 NAGS solar control glass will provide more natural comfort with less need for air-conditioning, less burden on car engine and cooling systems as well as less fuel consumption and carbon dioxide emissions.